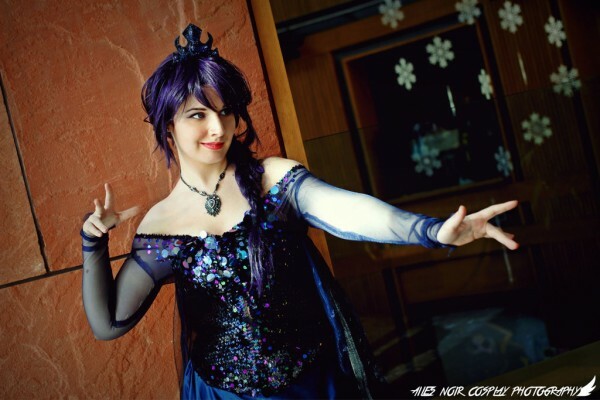 Dark Versions of Elsa from Frozen « Adafruit Industries – Makers, hackers, artists, designers and engineers! The six months after the release of Disney’s Frozen probably saw a huge spike in the sales of ice blue fabric — especially if that fabric had any kind of sparkle. Hundreds of fans made costumes inspired by Elsa’s ice queen ensemble. It was intriguing to see all the different methods used to make the sequins match and to add the snowflake designs to the diaphanous cape. Some fans put different twists on the costume by turning Elsa into a fire queen. Crystals decorate the neckline and drap3 down the shoulders. We sewed geometric gems to the corset neckline for added sparkle! Her long cape is tattered on the edges. I wanted to create the illusion of dark powers emanating from her hands so we used bits of tulle surrounding her arms. 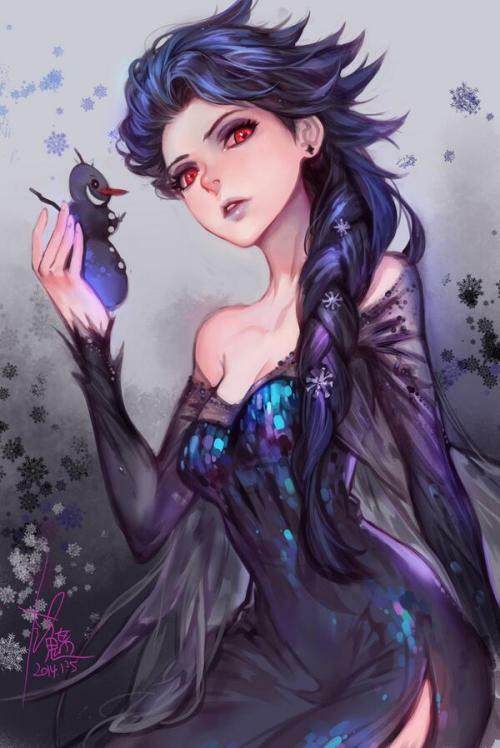 She was inspired by fan art from Tumblr that depicted Dark Elsa. I was able to use a lot of stuff i already had, the material for the skirt is from my Princess Luna cosplay, and i covered a corset that i had bought years ago for the top, and i already had the wig!